Rapid ELoans has one of the most experience staff in the mortgage industry with the state of the art technology from pre-approval to loan closing. All our files are secure and processed electronically to insure your data and documentation is secure. We work very hard to make sure you are updated throughout the loan process and insuring that your loan closes on time. Our management team has over two decades of mortgage experience. This experience combined with technology makes Rapid ELoans the best place to come for your mortgage needs. 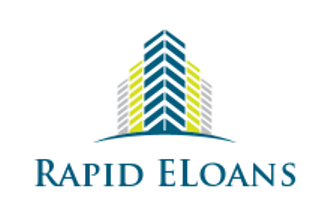 Rapid ELoans leadership team has been lending responsibly for over 25 years, delivering accurate information, competitive rates, and an easy process for our customers. Along with full compliance of new, stricter Federal regulations, we’ve implemented our own internal policies as an added layer of consumer protection. Our mortgage bankers are SAFE Act licensed: The government has enacted a new federal licensing requirement known as the SAFE Act, which establishes minimum standards for licensing and registration of loan originators in order to enhance consumer protection. All of our mortgage bankers are SAFE ACT License and registered and we’re compliant with all federal and state licensing and lending policies. No-steering policy: We’ve created a strict “no-steering policy” where none of our employees are incentivized to put you in one loan program over another - so they’re always looking after your best interest. In addition, we don’t quote teaser rates that our customers cannot qualify for or obtain, and we never charge an application fee. An honest Good Faith Estimate (GFE): One of the most far-reaching new federal regulations requires lenders to provide customers a standardized Good Faith Estimate or GFE when disclosing rate and fees. The old GFE was just a best-effort estimate. The new and improved GFE is designed to make all lenders conform to a standardized document guaranteeing that third party services lenders quote upfront are within a 10% tolerance of the actual fees at closing. Many lenders try to circumvent the new GFE by using “fee worksheets” or other non-approved documents to provide you an estimate that is not bound by the government-regulated GFE. These alternative “work sheets” are aggressive sales tactics used by many lenders, and they are both misleading and irresponsible. If a lender or broker you’re considering is unwilling or unable to provide what is now lawful practice, we encourage you to move on and do business with a fully compliant lender.